Today's VETgirl blog is an interview with Dr. Jeremy Campfield, an emergency veterinarian from southern California. He's a blogger for DVM360 at Death to Debt, and recently lectured as an IGNITE speaker at NAVC 2015. In today's podcast interview, he discusses his views on how to pay off the overwhelming, massive debt associated with veterinary school. 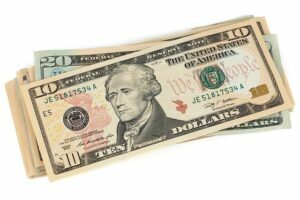 Here, Dr. Campfield reviews a few key tips on how to pay off your veterinary school loans. Please note that Dr. Campfield is not a financial advisor, and the opinions expressed here are his own! Buy a house if you want to live in a house and you can afford it. Put six months’ expenses in a money market fund. 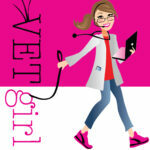 VETgirl's philosophy? Be frugal. Cut your cable. Don't pay for a data plan on your phone if you don't have to. Get roommates. Stop splurging on Starbucks more than once a week. Before buying something, ask if you really need it. Buy the smallest house in the nicest neighborhood. Look at your interest rates. If your interest rates of your student loans are very low, yes, pay them off, but consider investing into a higher interest rate such as the stock market S&P 500 if it's percentage is higher! Make an extra 1-2 mortgage payments a quarter. Make an extra 1-2 student loan payments a quarter (It will help whittle away at your debt!). When in doubt, seek a financial advisor (Skip the insurance requirements unless you have a family) who fits what you're looking for. Good luck! Any comments on what you do to save? Please note, VETgirl, LLC. does not endorse the financial advice given in this podcast. When in doubt, please consult with your financial planner for information. Please note that Dr. Campfield is not a financial advisor, and the opinions expressed here are his own! I”m trying to get ahold of Dr. Campfield for something related to his kiteboarding interest. You can google him on DVM360; otherwise shoot us a private email.